News has come in from Roy Best at the Devon Autocyclists that there will be a re-run of the section’s Lyford event which took place earlier this year on 30th April in horrendous weather. The re-run is planned for Sunday 1st October. 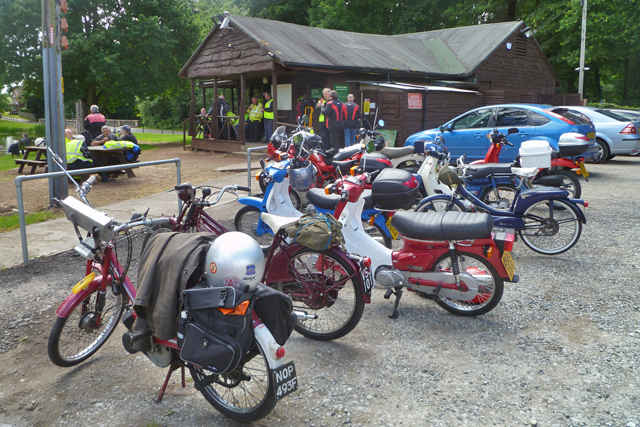 Meet at the Lyford car park at 10am for an 11am start with refreshments at Roadford Lake café and return to car park. Despite heavy rain throughout the day, April’s Lyford run was not cancelled – we’re made of tough stuff here at the Buzzing Club! ‘Lyford 3′ was completed successfully by six hardy souls. You will be able to read the full tale of West Country derring-do in August’s issue of ‘Buzzing’. Hence, October’s run has been named ‘Lyford 3.5′ … and hopefully October will bring kinder weather than April’s showers. 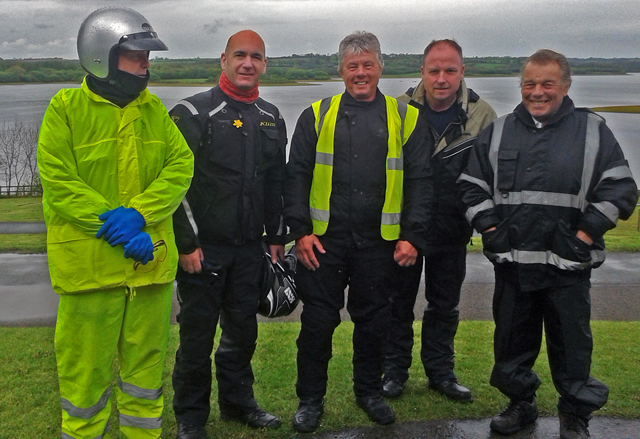 Put it in your diary and pop over to hear the tales of April’s feat of autocycling endurance as you enjoy the same run … hopefully minus the precipitation! Ready for the National Rally? It’s next weekend!! 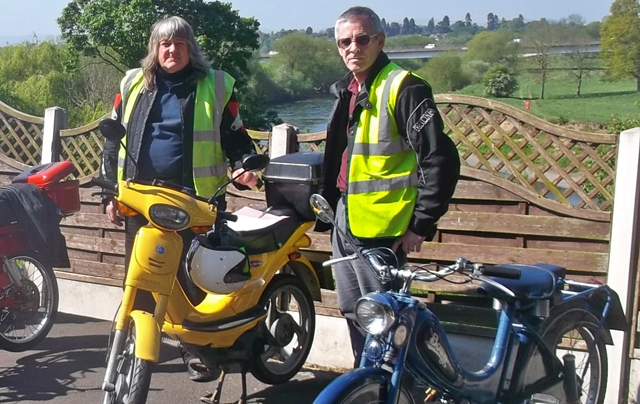 If you haven’t booked for the Club’s National Rally in Wolverhampton there’s still time. It all starts this Friday evening (30th June) and continues through until Sunday 2nd July. The venue is the Wolverhampton Rugby Club, Castlecroft Road on the very edge of the city, on its border with leafy Staffordshire. There are camping and camper van facilities, a Friday night ‘social’ at the clubhouse over either curry or a fish and chip supper. This sets you up for the runs out on Saturday and Sunday into the winding lanes of the Staffordshire and Shropshire countryside; and there’s a Saturday evening meal for attendees … oh, and the Rugby Club does a fine breakfast, available on Saturday and Sunday mornings. Sets you up nicely for a pootle out on your buzzing machine! Contact Bob Terry and Liz Butler from the South Staffs Section for the full details, either e-mail: rterry526@btinternet.com or telephone 01902 842198. They look forward to seeing friends old and new, and machines shiny to oily rag! Wow! Wow! Wow! North or South there’s a great weekend ahead! There are a couple of treats coming up for any Buzzer who has two spare days that just happen to be this weekend, the 24th and 25th June. There is the classic and epic trip known as The Coast to Coast, a run that takes the rider from the east coast of England over to the west coast. It’s a long but sociable event with an overnight stop in Alston in the Pennines. 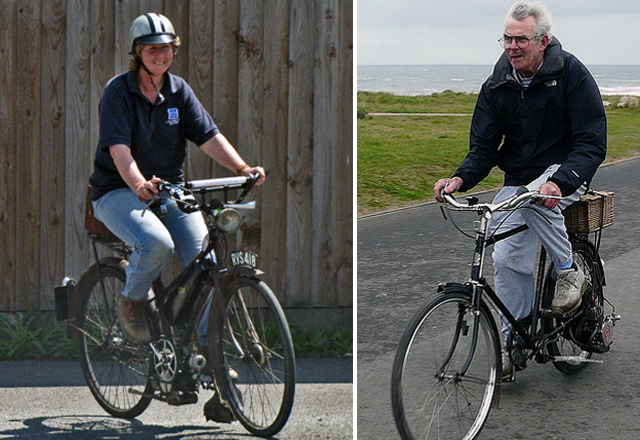 This is a run that anyone with an adventurous spirit … and a reliable bike! …. should consider. 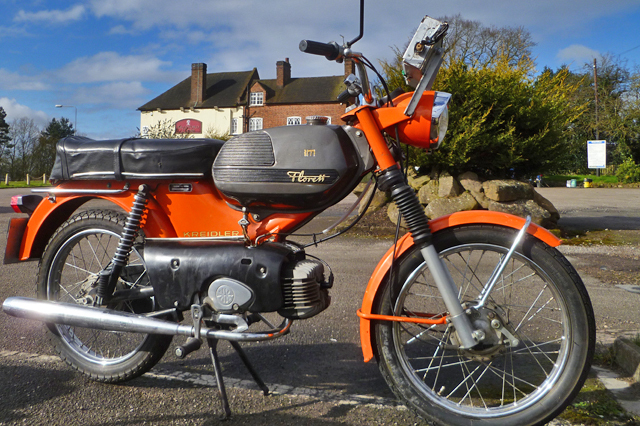 For more southerly Buzzers there are the two days that take in the As it Was Buzz on the 24th June; it’s a specialist event for cyclemotors only and is a gentle jaunt through the beautiful Vale Of Pewsey in Wiltshire. The following day we all gather for The Odiham Run, this being just a one hour drive from the previous day’s event and, once again, is a peaceful bimble, this time along the byways of North Hampshire. This event is for all types of NACC machinery as well as low-powered vintage motorcycles. As ever there will be event tee shirts and trophies up for grabs . There is camping and B&B available for those taking in both events. Two very different but very pleasurable weekends to choose from.